Men's 247 Classic Shoes Just $30! Down From $80! FREE Shipping! You are here: Home / Great Deals / Men’s 247 Classic Shoes Just $30! Down From $80! FREE Shipping! Men’s 247 Classic Shoes Just $30! Down From $80! FREE Shipping! 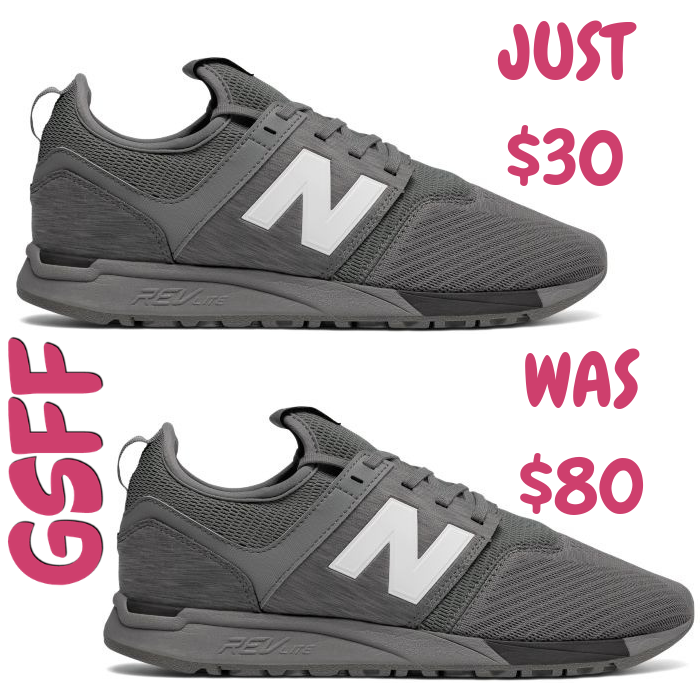 Hurry over to Joe’s New Balance Outlet to score this Men’s 247 Classic Shoes for just $30 down from $79.99 PLUS FREE shipping! The men’s 247 Classic may take its design cues from the past, but its sleek look and advanced REVlite technology are straight-up 21st century. A clean profile and a lightweight leather and mesh upper add sporty style to your look, while supportive midsole cushioning makes this versatile shoe the perfect fit for the demands of modern life. The 247 men’s sneaker is designed to keep up with your round-the-clock lifestyle with the quality materials and construction you expect from New Balance.